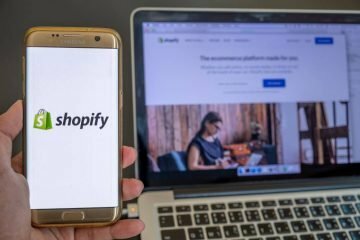 Shopify is one of the biggest omni-channel ecommerce platform providers on the planet, powering over 600,000 businesses across 175 countries. Founded in 2006, it now employs over 3,000 staff. The Canada-based company gives clients access to multiple sales channels from mobile to bricks-and-mortar shops, as well as a centralized back-office, giving merchants a single view of their business from payments to shipping. 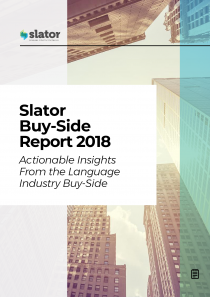 Slator reached out to Shopify’s Content and Localization Manager, Giulia Greco, to better understand the company’s localization demand, workflows, and multilingual content strategies. Greco said that she “was part of the original group that was hired two years ago to start Shopify’s translation and localization efforts.” In her time there, the internal localization team has grown from two to five people, who come from many different backgrounds. Greco herself is a content and localization manager with a focus on Italy. “We are probably the team with the most accents in the whole company! It’s a super-fun team and we get to travel quite a bit too, which is great,” Greco added. Greco said that Shopify has only recently begun to conceptualize and implement a comprehensive localization strategy. For Shopify’s marketing content, Greco’s team is responsible for translating into the company’s core languages (mentioned above) internally. The team also manages and hires freelance translators for languages not covered internally. These freelancers, who are hired to work on marketing and high-visibility content, are sourced directly and “mostly through our own networks,” she said. Shopify’s tiered content strategy involves “a lot of automation” and is designed to support internal requests from other Shopify departments “within a timely fashion,” Greco shared. “We have created our own internal processes integrated with external tools and platforms, and this allows us to be fast and responsive as the agile environment we operate in requires of us, but also to decide the right workflow depending on the content,” she said. “In terms of the ecommerce space, the most notable aspect is that different locales have different needs and those countries where the tolerance for English is higher would much rather see us focus our efforts on other friction points related to the product, for example by enabling features that are only available in North America, rather than focusing on translating our marketing materials or our back-end. “So our internationalization efforts must be so much wider than mere translation. From my point of view, translation is easy compared to other aspects that we need to solve. “So far we haven’t used machine translation, only human [translation], but we are piloting some projects with machine translation [MT] for some specific language pairs for low-traffic support documentation pages. “Within the context of [MT] being used within our CAT tools with post-editing, it makes us and our freelancers more efficient and faster. It is not being used on its own without post-editing. “I believe that neural machine translation is here to stay and will only improve, and the improvements will be faster than what many people expect. For this reason, it only makes sense to adapt and adopt it where it might make sense. “I expect it to impact our future localization work by allowing us to translate more obscure and low-traffic parts of our content faster and cheaper. It could also be useful when used to translate third-party applications on our website—technically, content that we don’t own, but that exists within our pages that are already localized. ecommerce is a high-growth vertical this year, with many major players acquiring smaller outfits to expand into new geographies and emerging markets like India being a hotbed for demand. At this rate, Shopify will likely have to work with even more than this year’s six million words to accommodate this growth.